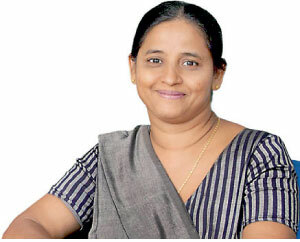 In a recent address, SANASA Development Bank Chairperson Samadanie Kiriwandeniya drew attention to the obstacles faced by present day women, stressing on the fact that scarcity of role models and hesitation to share success stories by women achievers have deterred the progress of the local women. Elaborating on the matter, she noted that women face numerous obstacles while seeking a balance between their professional and personal lives. Samadanie Kiriwandeniya, who has assumed the role of Chairperson of SANASA Development Bank since 2011, also serves as the Corporate Leader of SANASA Cooperative Group at present. Wielding expertise in several fields including participatory development, gender, micro financial services and conflict resolution, she was named as one of the ‘50 Most Powerful Women in Sri Lanka’ by the Echelon magazine in 2013. Kiriwandeniya, who completed her bachelor’s degree in Sociology at the University of Peradeniya, pursued her Master’s degree in the same field at Saskatchewan University, Canada. Expressing her views on gender inequality prominent in the male-centric corporate world, Kiriwandeniya explained the importance of creating a corporate culture which can be easily adapted by women. She further emphasised on the importance of maintaining a fine balance between work life and private life, paving the way towards a healthy community. “Today, people tend to regard corporate living as a healthy lifestyle. Working under stressful conditions in confined spaces, in my opinion, is an extremely unhealthy trend. Elevating working and living conditions will lead to a better societal, cultural and economic environment,” Kiriwandeniya said. Elaborating further she added that prior to making a difference in the world, people should first understand their professional and personal requirements. Perceiving the true essence of success in one’s own terms and seeking the best path to pursue one’s aspirations will no doubt lead to a better life. According to Kiriwandeniya, one of the biggest issues observed in today’s society is the tendency of following trends and ideologies presented in social media. In the past, ideologies of others did not influence our views to the same extent as it does in present times. With the advent and popularity of social media, the circumstances have changed to a point where it’s no secret that some individuals determine their level of success by the count of ‘likes’ received. Kiriwandeniya further added that when compared with two decades ago, there are positive trends emerging in the contemporary times. “Today, women hold high positions in the corporate world and play active roles in various organisations where some have become influential personalities. I believe that female representation among lawmakers and policy developers should be increased, in order to achieve a broader development,” Samadanie Kiriwandeniya said. She further stressed on the importance of a structure which supports and sustains women to pursue professional and social success while taking care of their family commitments.